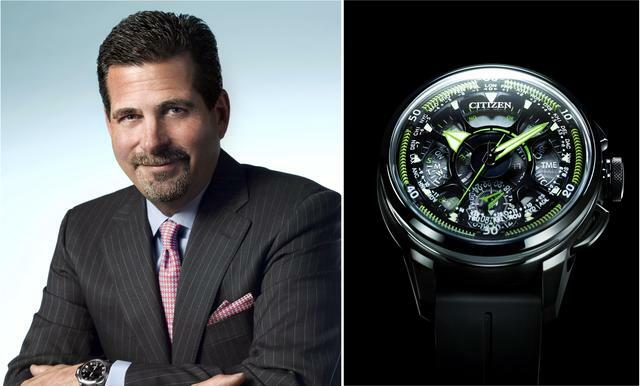 Just ahead of Baselworld 2018, iW caught up with Jeff Cohen, president of Citizen Watch America, to find out more about Citizen’s newest Eco-Drive watches and its Tsuno Chrono Racer. Also, we wondered how he makes time to steer the Citizen Group’s other brands (Bulova, Frederique Constant and Alpina) in the United States. 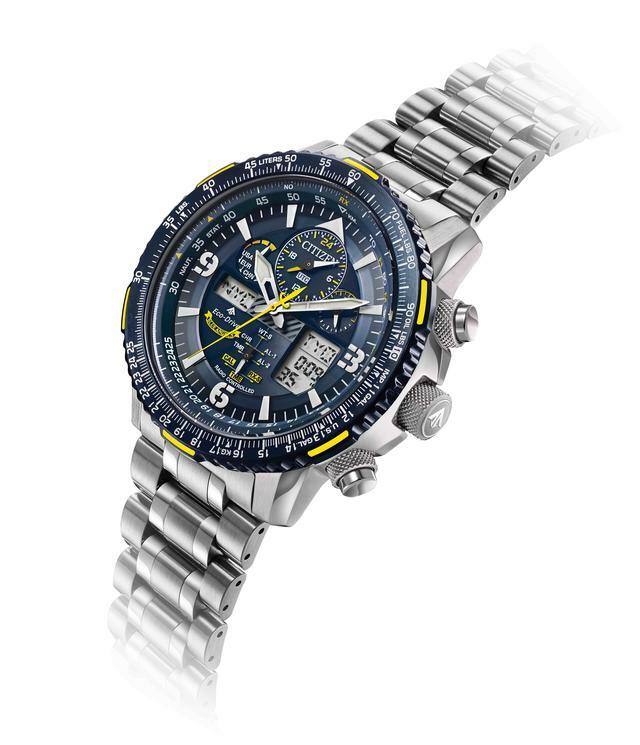 What does the launch of the Eco-Drive Satellite Wave GPS F990 signify for Citizen? The new piece is very special. It helps commemorate our 100th anniversary. Remember that we launched the first version in 2012, and this is a commemorative edition. It has the green color scheme of the original, but this new version adds the latest GPS functions. This is about innovation and it’s just one facet of our 100th anniversary. It will have only one production run this year and that is it. We only get to do this every hundred years. Are there other 2018 debuts you’d like to highlight? 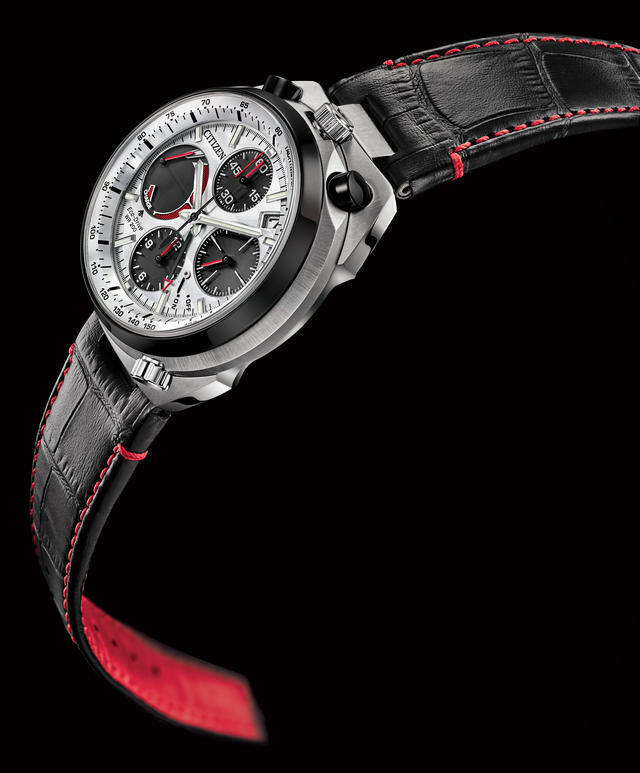 We of course also have the Tsuno Racer Chrono, which is a bullhead style chronograph. We are bringing in four models, two limited editions and two commercial versions. The commercial version is on a bracelet with a blue dial, a black strap with a white dial, while the limited edition has a black stripe with an orange dial and there’s also one with a vintage parchment-colored dial. The two limited additions will have special packaging. The commercial versions will be approximately $850-$895. The movements for these watches are quartz and hand-assembled. The Tsuno Racer Chronograph is one that appeared frequently on collector social media sites. So our product development team saw this, and we decided to bring it back. The original is from the early 1970s, which is why the two limited editions are limited to 1,973 each. 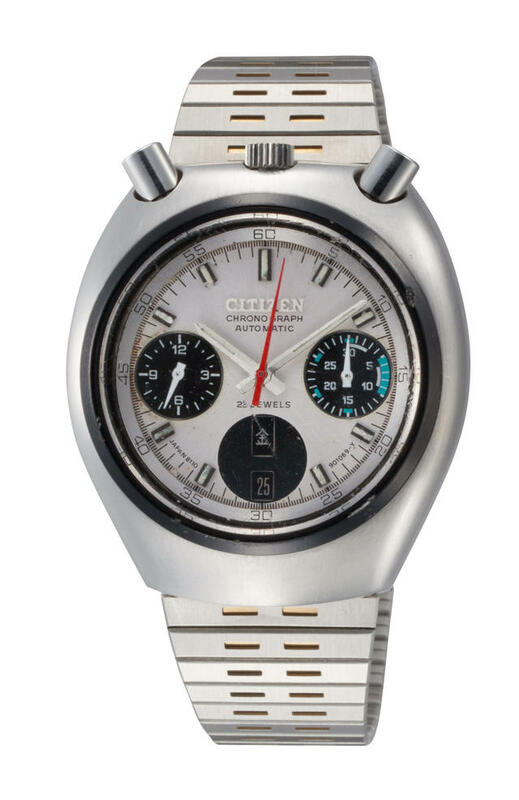 The original 1973 Citizen Chronograph Challenge Timer (Bull Head). The watch inspired the 2018 Tsuno Chrono. Our Promaster collection, which now includes this model, is doing very well. The Promaster diver from last year sold out in most cases. It was very well priced, and very well engineered. Perfectly on trend too. The entire air, land and sea category within Promaster is what you’re going to see this year at Baselworld. We are a very high-tech brand and are still male-centric in terms of sales, though we are introducing some beautiful ladies’ products for Basel this year. What are today’s watch market challenges? The challenges I see in the watch market in the United States have more to do with the retailers than the consumers. We see this as more of an opportunity. Some of the smaller brands are going away, the party is not growing, but we can get a bigger portion of that pie. We leverage our best practices to continue to drive sales through innovation and advertising. We are consistent with our messaging and our product development. The challenges are actually forcing us to do things faster. We make sure we are more nimble and are reacting faster to technical changes. This includes everything from infrastructure to how we handle the front of the house. The landscape is changing, and it happens in the United States first. The United States is over-retailed, and we are seeing a dramatic shift to digital and online. And we are prepared for that. We feel we are much further advanced than other watch companies in our category. We are in a very good place to position ourselves for the future. How are you reaching your consumers? Watches are about building a wardrobe, and we want to give people the experience in many different facets. That is the beauty of our brand. We operate across a broad spectrum not only in price but also in style. And connectivity. We can tap into the different markets and we talk to America in many different ways. We make sure we are speaking to the different sets of consumers. Our pathways to the consumer are more segmented than they have been in the past. We are trying to wrap up a relationship with the consumer that I don’t believe has been done to this extent in this industry previously. What about adding more Citizen stores? We have no plans to add additional stores. 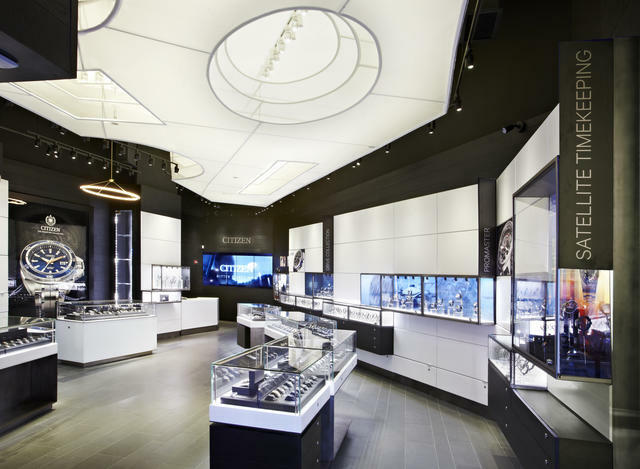 We feel that our Times Square location is in the most exciting retail space in North America. We have a tremendous number of people walking by our store and we use the store as a laboratory for our retail partners and to the ultimate consumer. What have you learned from that store in Times Square? We’ve learned how to become better storytellers. We have in-store events and we have window displays that our retailers around the country can copy. We have done some amazing displays for the Promaster there, and then make versions of them for our retail partners. Also, our ambassadors we’ll tell their stories from within that store. 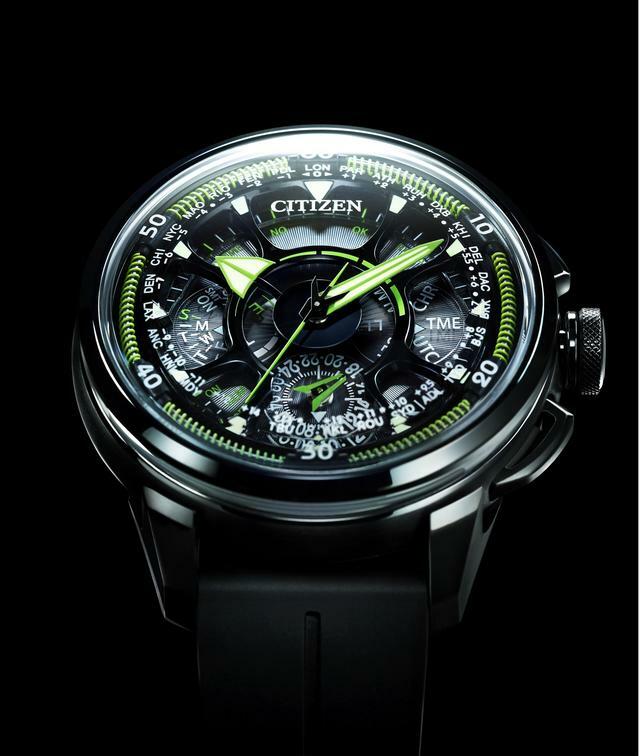 We encourage our consumers to upload pictures of their Citizen watches to social media. We sell via social media sites like Instagram. We are very technical company, so we want to see how we can take the whole digital customer experience to the next level. 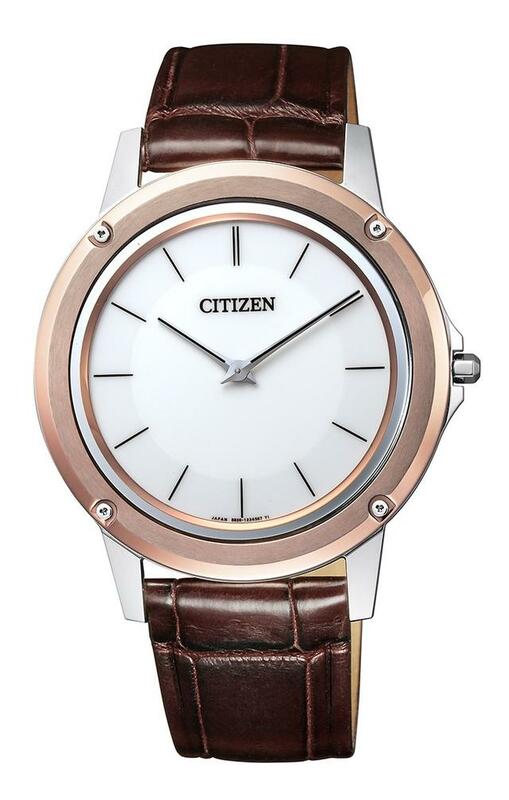 What are Citizen’s top sellers? Eco-Drive is over 90% of our range, and that is what differentiates us from the rest of the world. It is not just a light power; it is a proprietary technology. And we enhance this every year. The technology is so advanced today you cannot even tell if these are solar panel dials. We have many models where the entry points for light is actually the ring around the dial. This allows us to have many more metal dials. And take a look at Eco-Drive One, which is so thin and yet has a very long power reserve. Do you have a recommended service time for Eco-Drive watches? They go forever basically. We might get watches ten or fifteen years later that need a capacitor replaced, but that is it. The inner workings from Citizen watches are far superior to anything from the Swiss industry. It is almost over specified. That is how we build our watches. People love them because they are maintenance-free. That is why many people keep buying Citizen. How important is the U.S. market for Citizen? For Citizen, the U.S. and Japan are the two most important markets. We are always looking into new materials and consumer preferences. In the U.S. we are seeing that what is old is new again. Straps are back and older styles are back. Some of the NATO straps that we introduced last year at Basel are doing very well. Even on our website, you see many people posting their own interpretation of our pieces with their own straps. How do you oversee the Citizen group of companies, which for the U.S. also includes Bulova, Frederique Constant and Alpina? We have very strong guardrails up, and I am the referee. I make sure each brand has a distinct point of view. They each represent something different to the consumer. This is very, very important. All the sales, promotional and marketing activity -- even merchandising-- has a separate infrastructure. All the creative and product development is separate. We also can tell between each of the brands where there is extra space and where we have room to excel. In Torrance, California, we do have one central infrastructure location for logistics and shipping capabilities. We have state-of-the- art call centers for each of our brands to give their consumers and retailers the experience they deserve. Because we have the one center for distribution we can re-distribute the savings into each of the brands. We can increase spending to get more eyeballs on each of the brands. We have separate sales managers and each company has a managing director. With Bulova, our aftersales are quite different from Citizen. We kept our watchmakers in Queens because the competency level is very high there for these specific services. It is hard to get good watchmakers, and I don’t want to play with that Brand’s DNA. We made a tremendous investment to keep that staff in that building. It could have been very easy to combine Citizen and Bulova, but I am not doing it. We are getting ready to launch a Bulova museum. And we have an accompanying book underway. It’s an amazing history.